The first, complete 360° solution to the problem of monitoring hand hygiene compliance of all employees and visitors in a healthcare setting will be showcased at the Association of Professionals in Infection Control and Epidemiology (APIC) conference in Baltimore June 27 through 29, 2011 by HandGiene Corporation in booth #128. 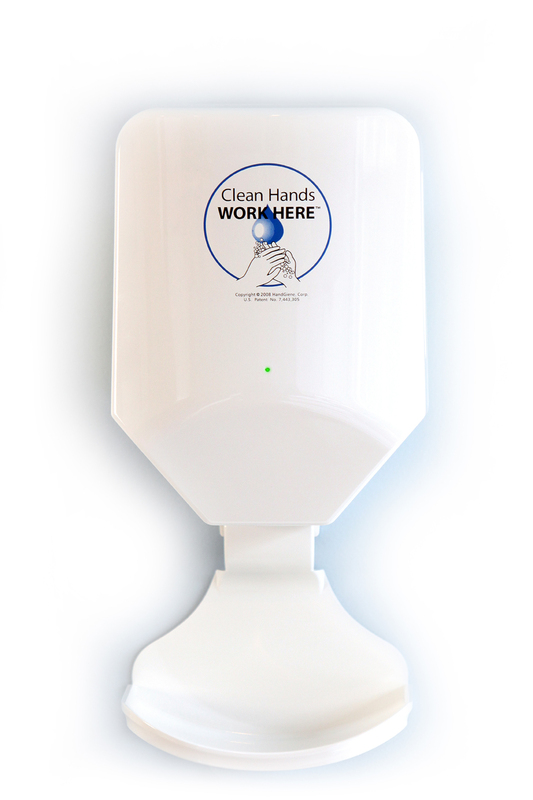 "Our complete 360° hand-hygiene monitoring solution is the most cost-effective way to easily monitor hand hygiene, reduce the incidence of HAIs and increase compliance rates up to 100 percent," said Richard Verdiramo, HandGiene Corporation Vice President. The first, complete 360°solution to monitor hand hygiene compliance will be showcased in Booth No. 128 at the Association of Professionals in Infection Control and Epidemiology (APIC) conference in Baltimore from June 27 to 29, 2011 by HandGiene Corporation. With nearly 2 million people a year acquiring Healthcare Associated Infections that cost up to $50 billion annually, the Joint Commission as well as the Centers for Disease Control and Prevention are pressing for higher hand-hygiene compliance rates. A recent study showed that hand-washing and sanitizing in a healthcare setting can be as low as 34 percent. The only way to increase compliance with protocols and provide accountability is to monitor staff interactions with patients. HandGiene RFID badges, dispensers and sensors provide real-time compliance data and can instantly alert staff, patients and administrators to non-compliance. "Our complete 360° hand-hygiene monitoring solution is the most cost-effective way to easily monitor hand hygiene, reduce the incidence of HAIs and increase compliance rates up to 100 percent," said Richard Verdiramo, HandGiene Corporation Vice President. "HandGiene's all-inclusive system, including intelligent dispensers, soaps and sanitizers, monitoring equipment and compliance software, meets industry hand-hygiene guidelines without any ongoing costs or fees to the facilities." Proprietary soap and sanitizers make compliance easy. Facilities can readily change between liquids, foams or gels without changing dispensers. Solutions are formulated with and without alcohol. Web-based software allows internal reports for re-training as well as external documentation of compliance to protocols. The system integrates with legacy IT for rapid installation and ease-of-use. For information on HandGiene Corporation's revolutionary system, visit on the web at http://www.HandGieneCorp.com. Or visit us in person in Baltimore, in Booth 128 at the Association for Professionals in Infection Control and Epidemiology conference June 27-29, 2011.